This is the area where we pride ourselves in having more experience than any other providers. We understand that the corporate market has pressures that the personal market doesn’t – time and budget constraints, fast changing objectives, etc. One thing we teach all of our shaveologists is adaptability, the ability to adjust what we offer to suit your requirements. For example, if at an event we realise that there are more women than men, or that the majority of men are clean shaven, we will start to offer hot towel facial massages, or Indian Head Massage. We will perform longer treatments during quiet periods to keep the chair busy, and shorter ones during busy periods to maximise the numbers enjoying the shaves you are providing. 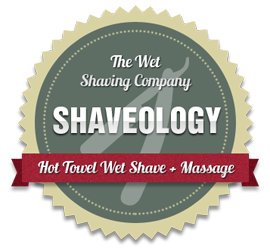 The Shaveology treatments we offer range from a 20 minute hot towel Luxury Shave through to a full 60 minute Ultimate Shave, which includes the full Luxury Shave plus neck, shoulder and face massage and face mask. We can tailor any length of treatment between these two during the event to suit demand. The shaves can also be supplemented with hot towel facial massages, Indian Head Massage, manicures and many other treatments by arrangement. The purpose of an attraction on an exhibition stand is to grab people’s attention and hold it long enough for your sales staff to make contact. Few things have the stopping power of seeing someone getting a hot towel wet shave, surprisingly for women as well as men. 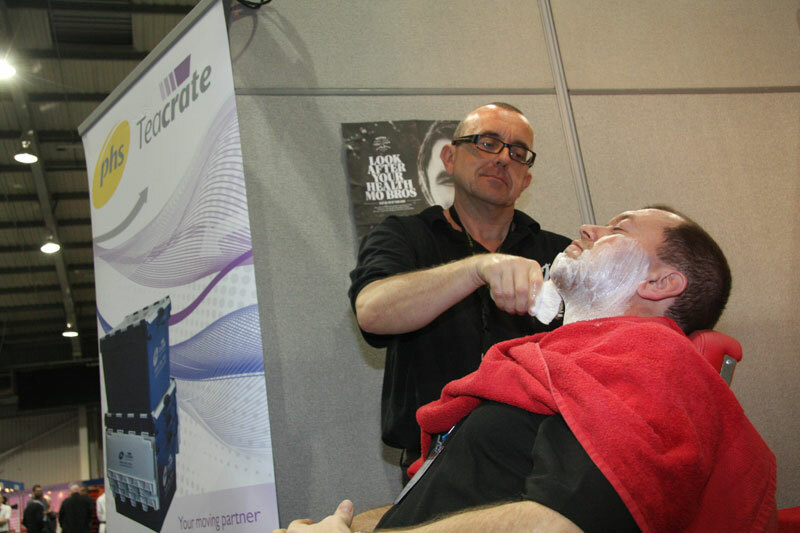 From a single shaveologist through to a team working in a dedicated area (see ManCreche) this is a sure way to create a buzz around your exhibition space. Traditional hot towel wet shaves have very high end, luxurious connotations that can only reflect well on your brand or product. Conferences are another area where shaves will be greatly appreciated. First thing in the morning to smarten up, during breaks to refresh and as a chill out area in the evenings and at gala dinners to relax. Experiential roadshows are known to be the most memorable. The experience can be visual as well as physical meaning that not only will the people who have a shave remember it (and associate it with the product) but also those who witness it. This is something that people aren’t going to expect to see in their shopping mall or High Street and it will make a lasting impression. The high end connotations of hot towel wet shaves mean that it works brilliantly with any luxury goods or service, particularly male orientated ones. Can also be used as an add on to female related roadshows (see ManCreche). 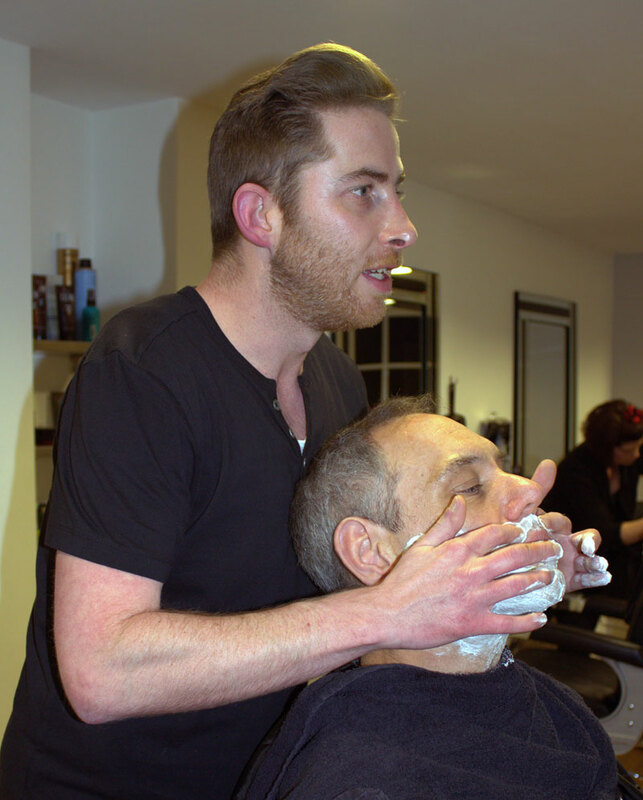 From one off team building or staff reward days to regular weekly or monthly visits, having a shaveologist in to treat your staff will be very popular. It is very easy to reward and pamper female staff, but men can be much harder to treat, with not even massage appealing to all. But a high proportion of men will love the chance to have a luxurious shave. 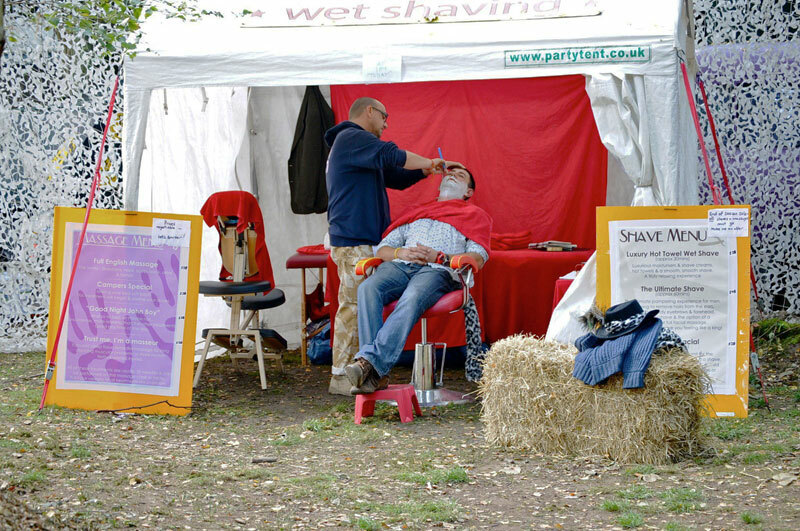 Hot towel wet shaves can also be used at health awareness days, as they can show another way to switch of and relax. A male pampering package ready to be branded for your event, exhibition or roadshow. The applications for this package are endless. A place for women to ‘park’ their men at female orientated exhibitions and roadshows. A quiet ‘get away’ space for any event. At shopping malls to entertain men during hectic shopping trips, or as a destination at special times such as Fathers Day. At festivals, sporting events and corporate entertainments as a dedicated space for valued clients, potential clients and hard working staff. The ManCreche is, of course, lighthearted and can easily be extended to include attractions for ladies.